Newbie issues. I downloaded a couple of free blender models of the earth and moon. 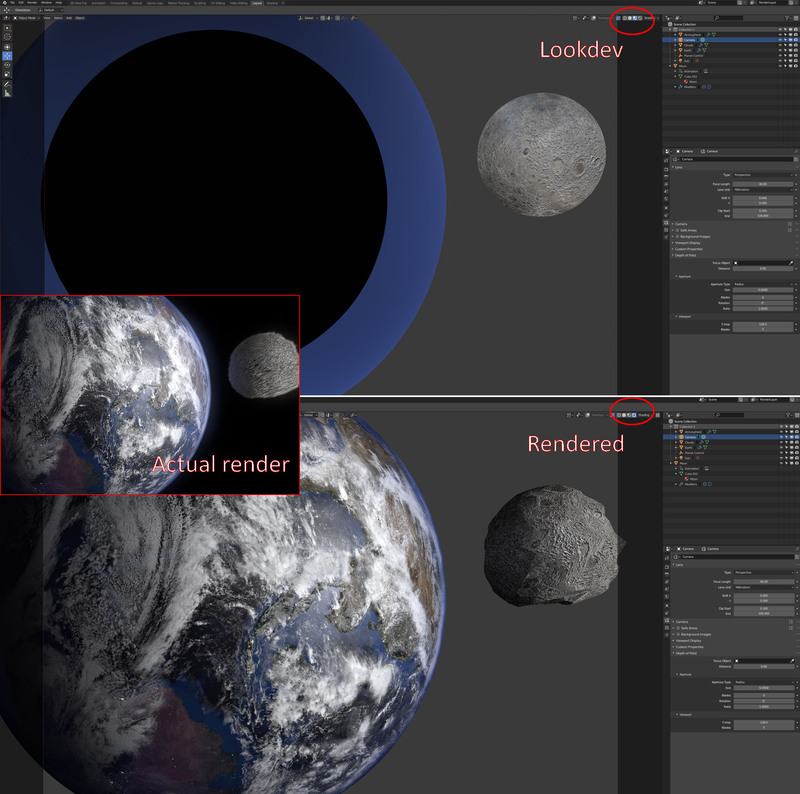 When I attempt to append the moon to the earth blender file, there is a big problem with the renders. Would appreciate advice on how to correct the issue. Thanks in advance!